Sports betting in Delaware is legal, although it doesn’t offer the wide range of possibilities enjoyed by the state of Nevada. This goes back to 1992 and the passage of the Professional and Amateur Sports Protection Act. The law made betting on sporting events illegal in all but four states, and these included Nevada, Oregon, Montana, and Delaware. The latter had been experimenting with sports betting since the 1970s, and so they were granted a partial exemption. The state is limited to offering NFL parlay bets, which take the form of betting cards with fixed odds on that week’s games. Players must wager on at least three games on the card and win them all in order to receive a payout. While this form of sports betting might seem limited, keep in mind that residents in most U.S. states don’t have any legal option for wagering on athletic competitions. The 2014 revenue from the aforementioned parlay bets was $31.5 million, and the 2015 numbers are estimated to have increased by 20%. Racetrack casinos in the state provide the cards, but they’re also available at bars, convenience stores, and even restaurants. The Blue Hen state isn’t known for sports. In fact, no major professional team is located within its borders. There are, however, various venues and lower-tier athletic teams to follow. The list below includes the most notable names as of this writing. • Wilmington Blue Rocks –Founded in 1993, this minor league baseball team competes in the Northern Division of the Carolina League. • Delaware 87ers – Founded in 2007, this basketball team is a member of the NBA Development League and is associated with the Philadelphia 76ers. Until 2013, they were known as the Utah Flash and maintained a relationship with the Utah Jazz. • Diamond State Roller Girls – A flat track roller derby league for women. Teams include the Black Eyed Bombshells, Back Alley Brawlers, and Hardwood Heartbreakers. Due to the lack of professional sports teams in the state, the two NCAA Division I schools in Delaware have built up a major community following over the years. While you won’t be able to legally bet on these schools, that doesn’t mean that money isn’t still changing hands during the various seasons. In case you’re interested in skirting the law, here’s a bit of information about both schools, which play both college basketball and college football. • University of Delaware – The Delaware Fightin’ Blue Hens football program is the school’s most successful athletic endeavor, and they compete in the Division I Football Championship Subdivision. They’ve won six national titles in their history, although all at a lower level than the BCS. Their fanbase is impressive for any university, and they’re the only FCS program to average in excess of 20,000 fans per home game from 1999 until 2010. • Delaware State University – Also known as Del State, this historically black university was established in 1891. Their team name is the Hornets, and they compete in men’s and women’s sports ranging from football to bowling. While the university programs listed above have never fared well in the annual NCAA men’s basketball tournament, it hasn’t stopped residents from placing wagers on their behalf. After all, everyone loves an underdog. In addition to betting on the outcome of specific games, individuals also have the option of getting involved in a bracket pool. These seem to be everywhere during March Madness, and you can either print one off the Internet or snag one from your office corkboard. In order to win, all you have to do is correctly predict more tournament winners than anyone else. If you manage to get a perfect bracket, you could even win $1 billion in an annual online contest held in conjunction with famed investor Warren Buffett. These pools are technically against the law, but I guarantee that even cops are sitting around the police station trying to come up with the best possible bracket. This is one of those harmless pastimes that nobody thinks twice about, even though a respectable amount of money can still be picked up. 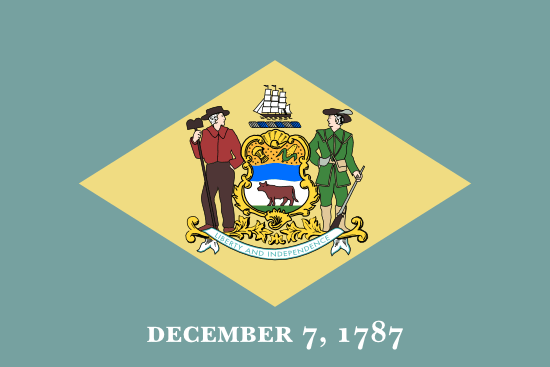 The laws regarding online gambling are murky in the state of Delaware, but that only works to the advantage of the player. Since the law isn’t clearly defined, it’s less likely that the authorities are going to waste time and money on a case that could just wind up getting thrown out of court. There are plenty of online bookmakers willing to take your wagers, although some have been absent from the U.S. market since the passage of the Unlawful Internet Gambling Enforcement Act. I only suggest that you do some research before opening an account, as you want to ensure the security and reliability of the bookmaker. If online gambling and NFL parlay cards don’t satisfy your craving for sports betting, there’s always the option of tracking down a real-life illegal bookie. I suggest starting at the local golf club if you’re a member, as people who hang around the links are often involved in a little wagering on the side. Once you’ve managed to get an introduction, start off with some small wagers to test the reliability of the bookie. If he or she pays your winnings promptly, then they can likely be trusted with more sizable bets. Always remember, however, that these individuals are operating outside the law, so you have no legal recourse if the bookie decides to screw you over. While the NFL parlay cards offered by the state aren’t the most exciting gaming option ever invented, there’s something to be said for being able to walk into a convenience store and pick one up. Outside of this legal option, sports bettors will have to result to tactics such as finding an online book, getting a local bookie, or placing wagers with friends. The situation could certainly be more convenient, but it could also be far more restrictive.